Playground accidents. Nearly all of us sustained minor injuries on the playground when we were children. Unfortunately, some kids get hurt much worse. Be it slipping from the monkey bars, falling off a swing, or tripping over equipment, many children suffer serious injury on our playgrounds. Slipping, Tripping, and Falling down stairs. It may sound innocent, and more embarrassing than physically threatening, but falls are a frequent cause of injury in South Carolina schools. When children slip on water or trip over a hazard, they could break a bone, tear a ligament, or even sustain a head injury. Sports. I played a ton of sports growing up. I even made my high school’s JV baseball team in the eighth grade (I ended up giving up baseball and basketball for golf). There are few things more fun than competing. It feels great to be part of a unified team with a coach you admire. Unfortunately, the competition does not always play by the rules, some coaches push too hard, and teammates might not have your back. When this happens, injuries often follow. So how can many of these seemingly unavoidable accidents be prevented? Simple: everything our teachers, coaches, and administrators do must put safety first. When safety comes ahead of winning, fewer kids pass out. When safety comes first, teammates watch out for each other and would never dare intentionally injure another player. When safety comes first, the school enacts policies that maintenance crews follow. When safety comes first, the entire faculty is on the lookout for dangerous conditions that could harm our children. 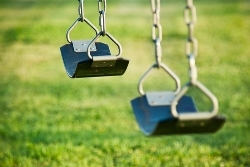 When safety comes first, playgrounds have soft surfaces and recess is viewed as an exercise in oversight – not a time when teachers catch up on text messages. In sum, when safety comes first, our kids still have fun. The only difference is that they do not encounter so many needless dangers, nor sustain so many needless injuries. Safety is a culture; it is a culture that our schools must adopt if they are to make South Carolina a better, safer place for our young people. If your child was hurt at school, and you are in search of answers, call a South Carolina school injury lawyer. I will provide a free case evaluation and tell you what I believe to be your best options. You can reach me and my team at (803) 790-2800. We look forward to helping you.